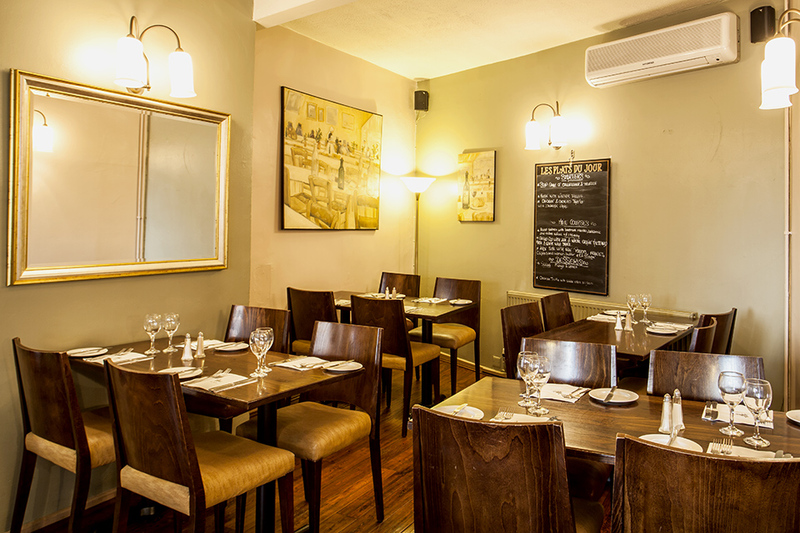 Tuck into a 2 course lunch at Petit Paris for just £13.95. Available every day from 12 noon - 2:30pm. Book online for free text confirmation or call 0115 754 3767. Indulge in a 3 course lunch at Petit Paris for just £15.95. Available every day from 12 noon - 2:30pm. Book online for free text confirmation or call 0115 754 3767. 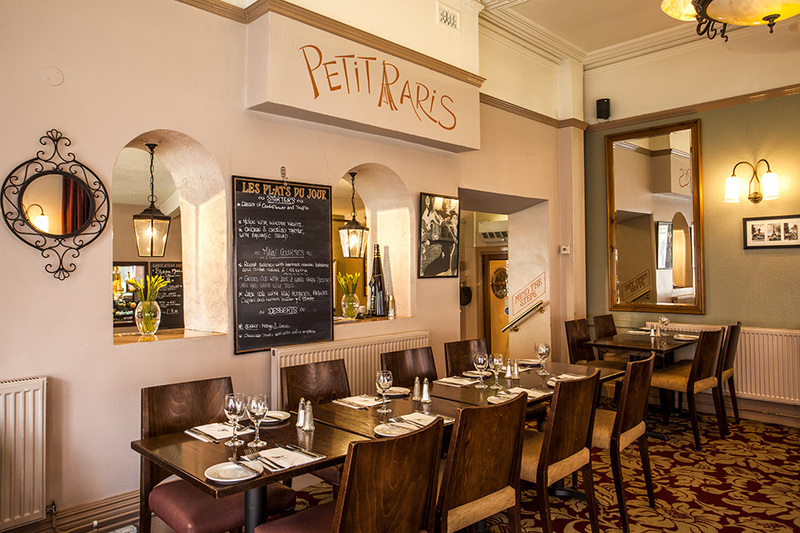 Experience a 2 course pre-theatre or evening meal for just £14.95 at Petit Paris. Available Monday to Thursday from 5.15pm - 9.30pm and Friday & Saturday from 5:15pm - 6:30pm. Book online for free text confirmation or call 0115 754 3767. 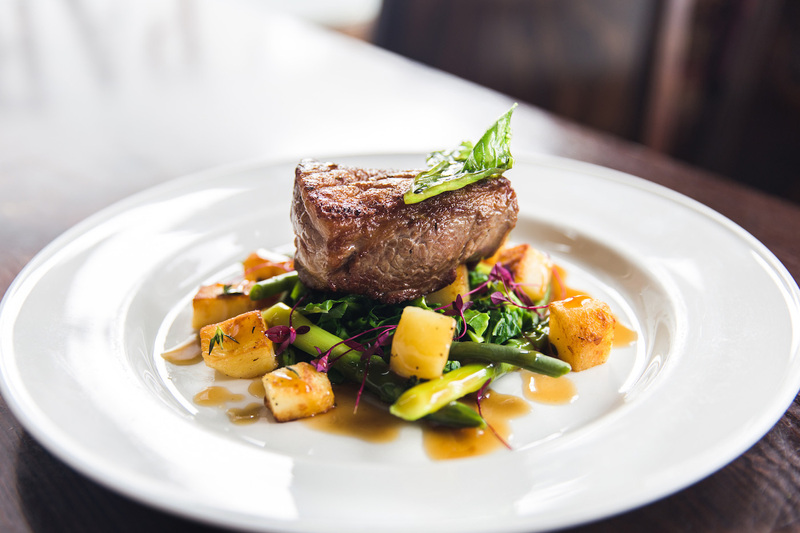 Enjoy a 3 course pre-theatre or evening meal for just £14.95 at Petit Paris. Available Monday to Thursday from 5.15pm - 9.30pm and Friday & Saturday from 5:15pm - 6:30pm. Book online for free text confirmation or call 0115 754 3767. Good choice of starters. Prawns were delicious. Had salad with my steak and it was very fresh with loads of variety. My wife's monkfish came breaded which was a bit disappointing. We should have checked before ordering. Not a lot of what I would call French main courses on the menu. Staff were very pleasant. Slight delay between courses. Lovely pre theatre meal. Served quickly which we wanted. Staff great, food great! Will be back! Thank you Perit Paris. We had a superb meal at Petit Paris. Great menu, fantastic food, beautifully presented. The staff were extremely friendly and very attentive to detail. It was a very pleasurable dining experience. Not as much choice on the specials no chocolate on the pudding menu.Service much slower this time! A very positive experience. The restaurant was full but there were enough staff to cope with the situation. The service was excellent as was the food.All in all, Petit Paris gave good value for money. On this visit I felt the food was not as good as previously, mine wasn't very hot. I didn't send it back as it was very busy with pre- theatre diners. Was a rush at the end as one till was down and lots of guests were heading to the Theatre Royal... I usually give 5 stars for everything. Lets hope it was a one off. Always a perfect place to eat and the waiters are always polite and courteous. Great venue. Always a star although service not quite as slick as usual this time. Food was spot on though. I had the Sunday roast with chicken and for desert the treacle tart. Everything was very good,full of flavour. The portion sizes are just right for me as I don't like to be presented with a great plateful! Their pre theatre menu is one of the most varied in Nottingham, and it’s always busy here pre and post theatre. Delicious fish specials as well. A very tasty meal, served by friendly and helpful staff. My gluten free needs were well catered for, and the price of £14.95 for two courses was excellent value. Didn't like having to pay extra for vegetables, this is not clear when they advertise fixed price meals. Rather too crowded for comfort. Lovely food and staff are very friendly. A few nice changes to the pre theatre menu. Service as usual very pleasant and efficient. An excellent pre-theatre meal in this lively restaurant. Food was, as always, top class. The service was slick with plenty of staff to cope with the surge of customers in this tight 2-hour timeframe. We've been going for 20 years - which says it all really. Service seemed rushed on this occasion and the food not as good as on other occasions. Recommended by a work colleague, pasta tagliatelle meal was lovely, very filling, probably too big a portion as not able to finish it, but lovely and freshly made pasta. Would go again and recommend to others service is very quick and good for pre-theatre. Can't really fault the food or the service but, having been here in the past, when you were lucky to get a seat, 6 people on an early Wednesday evening in January does not make for a very good atmosphere. Love this place, great atmosphere and friendly staff. Dined here with 4 friends last night, friends extremely happy with their meals but think on this occasion made the wrong choices. Found the chicken and pork ballotine rather bland and the tagliatelle slightly overcooked and swamped in sauce with only a minute amount of mushroom/bacon. Hasn’t put me off though as generally very good especially so this month with a 25% discount voucher! Food was lovely. Lived up to expectations. Eaten at Petit Paris several times and hadwonderful food and service. Was here fore NY Eve - hadn't realised a set menu before arrival.. I had checked on line prior to going but had seen nothing. The food was good and good value but not up to the usual standard - often the case with celebration menus serving large numbers. Still a lovely evening - so thank you Petit Paris and Happy New Year. Delicious food served promptly. All serving staff polite and efficient. A lovely venue to celebrate my husbands 70th birthday. As usual a warm welcome from staff . Even though we were a table of 8 the service was prompt and attentive. Love Petit Paris always a great meal, went with 5 friends for Christmas lunch Excellent! Merry Christmas Petit Paris. The food was excellent and service was great even though the place was full with quite big groups which is, of course inevitable close to Christmas. Little disappointed as sat in back room which is quite dark. A lovely relaxed pre-theatre meal, good value for money, good service, good food. One little problem at the beginning but soon rectified. Would highly recommend and will certainly go back. Very nice lunch, good personalised service, friendly pleasant staff on all levels. Very good value for money on a lunchtime menu. We waited for one person to join us, no rush or problem. Chattered before ordering, no problem. Very pleasant. Thoroughly enjoyed. The food was lovely but the service was very slow. Had to ask if we could order after being there for 45 minutes. Very enjoyable and plenty of choices. Helpful, friendly staff. We have eaten at Petit Paris a few times and have always had a positive time. The group I was with said that we must book for a summer date. I, personally, have been as well with a friend. So good all round. Thank you! The food is always lovely. However, this time the service was very slow and not up to the usual standard. There clearly was not enough staff to tend to the tables. Excellent restaurant. Food was really good, it was excellent value and service excellent. Can't fault either the meal or the service both superb. Excellent quality and taste! I chose the chicken and bacon salad and sea bass, both first class as were the meals friends chose. Highly recommended and now one of my favourite restaurants in the city, only criticism would be that some tables too close together... then again buzzing ambience for a lively lunchtime service. Lovely to be able to choose a fairly healthy, lower calorie meal that was really tasty. Despite members of the party arriving late or not at all, staff were helpful and gracious in every way. The food and wine were excellent. Never had a bad meal here. Excellent meal served very quickly as we were going on to the theatre. Very helpful and efficient service. Food very good value and choice for the cost of the special menu. Fabulous food and service again - nothing more to day. 7 ladies all very complimentary to the quality of the food we had at this unique little restaurant! Buzzing atmosphere, we ate in the side room to the main restaurant and would really have preferred to have been seated in the bigger and more open plan main room, apart from this absolutely no complaints. All of the starters and mains we choose were tasty, excellent portion size leaving no room for desserts! Wine reasonably priced, prompt, friendly and efficient service, couldn't ask for more, have already planned to take other friends later in the month! Not been here in a while, but blown away! The two courses we had on the pre-theatre menu were well presented, incredibly tasty and the flavour combinations were spot on. Amazing value for money! On arrival they had no knowledge of my booking which I had to prove by showing email confirmation. A table was found, they were short-staffed so service was v. slow but good. Food was excellent. I will go soon. I cannot forget the taste never ever. The food is always excellent at this restaurant. Great staff and lovely food. We had the pre-theatre meal. The choice was great, the price even better. Lovely restaurant, close to the theatre with excellent value pre-theatre menu. We where very well looked after and enjoyed the quality of meal we had off the pre theatre Menu. It was our 49th wedding anniversary so it was nice to be well received. Very good meal! Our food was cooked to our liking and staff were helpful. I have some allergies and although staff were well meaning they weren't fully aware what their foods contained regarding allergies - the member of staff who served me were not aware there was milk in the bread until they went to ask the chef. The same thing happened regarding my dessert, a sorbet, which I was told was dairy free and looked lovely but unfortunately I believe it contained milk as I was ill after eating it, the staff member did go to ask but I think he was misinformed. Otherwise, an excellent meal. A wonderful meal again with friends. Main course was superb and couldn’t be faulted but it took an our to arrive. After finishing the main course there was insufficient time to have a desert as it was 7.10 pm and had to be at the theatre for 7.30pm. We arrived at the restaurant at 6.35 pm for the pre booked pre theatre menu so was very disappointed that the meal took so long to be served giving us only time for one course. Very good value for money and the food was of good quality. The set menu offered a good variety of dishes. Lovely added ambiance with the live jazz. Always great value and excellent food. Highly recommended. As always there was a warm welcome. 3 of us had the chicken salad starter but unusually the chicken was quite dry, maybe pre-cooked and reheated. Hake was delicious, as was the lasagne enjoyed by my friends. Excellent meal as usual. Great atmosphere. Pre theatre meal is great value for money. Would definitely recommend. Out of town friend very impressed. Yet again loved the meal. Just wish Go dine didn't send so many texts and emails. Always a pleasure to eat here, staff wonderful, food amazing and a very relaxed atmosphere. Another gorg pre theatre dinner. Back again for mums birthday in two weeks. From walking in the door to walking out th door the experience was excellent. The service was unfaultable, staff attentive without being intrusive, food was delicious and extremely well presented. There was a varied choice on the menu to. Will definitely be back in fact booked our works Christmas there again for this year. My menu choices were excellent. I have been having the chicken and bacon salad for over 20 years and it never disappoints. Last night's main course of hake was wonderful. Everything was lovely. The only thing was the menu you had and I chose from had changed when we got there. So Godine please keep up to date and not all the emails. This is my second visit, taking Mum for a pre theatre lunch. This was her first time here and she was very impressed! We will both be back again! Food, service and atmosphere were perfect. Excellent value for money. As usual my friends and I had a lovely lunch. Good to see the old favourites on the menu but also some new dishes. excellent meal and service . Swanky, fancy and French: three things that make this restaurant perfect. The service was quick and always friendly, with staff frequently checking in about food, asking if we wanted more drinks, always with a smile on their face and ready to give recommendations. The menu is well varied, and with each of us ordering something different we all had something positive to say about each dish and sounds of pure delight at that first bite. Full of flavour and presented elegantly, this food is something to behold. My initial concern upon walking in the venue and reading the menu was that it was way too fancy for me in my t-shirt, but I was made to feel comfortable and at ease from the get go, and couldn’t ask for more. Saturday night was extremely busy and noisy. The meal was nice apart from they gave my steak to my partner who is a vegetarian. It was obvious that the restaurant has regulars as they got preferential treatment. The service was quick although confusing at times. Would try again next time in the week. Excellent food, excellent service and good value what more can you ask for? I would certainly recommend Petit Paris. I shall be returning with a group of around 30 people in August! Lovely food, great atmosphere and excellent service -will bring the kids next time! Our meals were very, very good. Once again our food was excellent. It really has become our favourite pre theatre restaurant. Staff always pleasant and service good. Great meal and good service. Recommend the pre-theatre menu. Had a lovely lunch with our grandson before he graduates from university. The menu has changed slightly but still as good as ever. Would never highlight one particular meal because they are all excellent. But husband had lambs liver, cooked to perfection, grandson had lamb and he raved about it and I had the chicken also first class. We all had desserts and had a thoroughly enjoyable time. We will be back soon. Thank you. Very enjoyable lunch. Service and friendliness of staff excellent. Excellent service, beautiful meal, very relaxing. Had a lovely 2 course meal for £13.95. Food was delicious and the service was very good with friendly staff. Would recommend. As per usual food excellent. Like the changes new owner has made. Still retains feel of French Bistro. Our favourite restaurant in Nottingham when visiting from Sleaford. LOVELY MEAL AS ALWAYS. PROMPT SERVICE LEFT US WITH PLENTY OF TIME TO HAVE A DRINK BEFORE THE SHOW. Good meal, friendly staff. Just a little slow but overall very good. Excellent food, freshly prepared. The staff were very attentive and friendly, with one proviso, the waitress didn't know the difference between vegetarian and vegan food! Tables a little cramped but, they are very busy because they are very good! Had another lovely meal before going to the theatre. The menu has changed and the layout of the restaurant has changed slightly, but still one of our favourite restaurants. Tiny lovely restaurant in city centre, good food and service. Some portions might be a bit small but I am a big eater anyway. Another great meal and evening lovely food and good service and atmosphere. An excellent pre theatre meal. Ham terrine followed by sea bream was good. Service for pre theatre meal was efficient friendly and well balanced speedy without us feeling rushed. We called in for lunch, with family, before going to the theatre. We have been here numerous times and the standard and quality of food never changes. Always first class. The restaurant was very busy but the staff still had time to chat and be friendly. We return again later this month. Highly recommended. Great service, lovely food, staff very polite. Great for pre-thearte! However, possibly great for just an evening out. Having found out about this wonderful little restaurant 2 years ago, we made our third visit there on Good Friday. We were able to change the time of our reservation without a problem and was not disappointed. The food was excellent and reasonably priced. We enjoyed poached salmon on a bed of smoked salmon with cabbage (delicious in fact!). Would highly recommend to those who prefer somewhere which is not part of a national chain. Lovely meal with excellent service and great value for money. Great deal Pre-theatre, busy atmosphere, fast service, great food (especially the pork and croquettes). Fabulous meal and wonderful service. Definitely will be visiting again. Excellent service and food. My husband tried snails for the first time. Lovely meal. Good choice of food which was well presented and tasted delicious. Very busy for a Tuesday lunchtime which was pleasing to see. Service was good too and all the staff we encountered were polite and keen to please. We all thoroughly enjoyed ourselves and the service was prompt as we were going to the theatre. The food quality was very high. Felt a little rushed by staff, as table was cleared whilst I was still eating. A little bit pricey! Lovely food good service and great atmosphere. Not been for awhile but will be back soon. Excellent value pre-theatre dining, with an extensive menu to choose from. Their fish specials are always delicious. Excellent location for the theatre too. Food excellent as usual, excellent value for money. Lovey meal, the food was delicious. Will definitely return. This was our first time at Petit Paris, and it won't be our last! The food and service were excellent. Lovely atmosphere and would highly recommend. Ate from Al a Carte menu. Food was excellent especially the sea bass with mussels. Usually have pre theatre menu which is also excellent. Recommend to others. Very good food at the price, well presented, obliging staff. Fabulous meal. Tried snails bit earthy for my liking. Great value and service. Look forward to going again. Pre theatre meal, good food, good service, good wine, just what we wanted, would recommend. Excellent food and service as usual! An excellent meal served by great staff and really good value for money. We will certainly visit again. Lovely food, good service, just one little thing. On the menu the details of the meal I had, which was the beef, did not mention that there was mash included. I ordered sauté potatoes as a side, but really did not need them and I would not have ordered them if I had known about the mash. Also the veg portion was a bit small. Otherwise a lovely way to celebrate my birthday. As always, an excellent meal - excellent value for money. We have never been disappointed. Excellent little restaurant that feels very French and the food is always outstanding. Pre theatre menus that are great value and cause the service is quick it takes the stress away of finishing on time ready to go to see a show ! Nicely presented and tasty food served quickly because it was a pre theatre meal. Staff very friendly. The goats cheese was delicious followed by pasta. Brought bread free of charge. Bang on time for a pre-theatre dinner. Very crowded and popular restaurant. Ideal for pre-concert dinner. Good choice of menu. Friendly and good food as always. Nice lunch time treat. They have course offers on also so not an expensive choice. Superb food and service. Highly recommended! Delicious traditional French cooking. A nice place to meet up with friends. We very enjoyed the meal. The food was both well prepared & beautifully presented. We were expecting 2 courses for £12.95 but the Christmas menu was £ 18.95 for 2 courses. However, I guess it's Christmas just once a year! Fantastic meal, Superb food, and Friendly service. Looking forward to coming again. Favourite restaurant in Nottingham. Perfect food, service - staff were superb. Going to return very soon. Tasty food, pleasant staff, always happy with the restaurant. Thank you once more! We have eaten here a number of times, this time on our way to the theatre. The restaurant was very busy as always, but the staff were extremely efficient and the atmosphere was lively and fun. The menu is always interesting and varies on a regular basis. We will return again soon. Thank you. Had a lovely Christmas meal at Petit Paris with my work colleagues who agreed that Petit Paris is the best French restaurant in Nottingham. The food was lovely, prices were entirely reasonable and the service was efficient. Would definitely eat here again. Great welcome, good service, delicious food, pleasant staff. What more could you ask for! Lovely meal as always. Service was excellent. The waiters/waitresses were very polite. All the party thoroughly enjoyed it. Excellent food and prompt service - the only reason I didn't give 5 stars for service is that we had booked for 5.15 which is the earliest sitting and they didn't actually open the doors until 5.15 so we were standing outside in the cold until then. They should open up at 5 to let people in. Always love this place. Excellent service, consistently good food. Happy happy. Wonderful meal, excellent service by great staff, we all had starter and main course. Would highly recommend. Fabulous family lunch enjoyed by all. We chose the festive menu - excellent value for money at 3 courses for less than £20 - washed down with a cheeky Chablis. Dauphinoise potatoes were divine, beautiful almond and cranberry tart, splendid soup, everything was gorgeous. Staff were welcoming, helpful, highly efficient and very friendly. What are you waiting for? Just make sure you book in advance because, quite rightly, it is very popular. Enjoy! Our meal was satisfactory. I had the chicken breast coq-au-vin style and although it was well presented the chicken tasted as if it had been microwaved, which was a bit off putting. One of my friends ordered the Lasagne and did not enjoy that- she said she thought that had been microwaved. My other friend ordered the Tagliatelle dish and she enjoyed her meal very much. The desserts were lovely. Service was excellent as was the ambiance. We have been going to Petit Paris for a while, had some good meals but I think the menu is in need of a refresh as it has not changed for a while. Very busy - service rather slow - but we did not mind as we had plenty of time - however of we were pushed for time it could have been a problem. All other aspects were very good. Excellent food and service as usual, even though extremely busy. Always enjoy my visits to Petit Paris. Good food and service every time. Arranged a table for 7 for a local running club meeting, most had not eaten here before. Everyone enjoyed the food and ambience, this restaurant maintains it's standards and does not let down. Excellent lunch with family. Food was of a very high standard, although at times the staff seemed a little confused, we were offered desserts after finishing our starters. Excellent value for money and we will revisit. Party of 6 ladies all enjoyed the pre theatre meal. Although a comment was made about the lack of vegetables with the meal. Booked with former work colleagues to celebrate my birthday. All enjoyed their meal even the vegetarian! 10 out of 10. Food was perfect. Im fussy when it comes to steak but it was cooked to perfection. The waiters were fast and efficient even though it was busy. Lovely place would reccomend! The meal and service was ok.
As usual, an excellent meal in pleasant surroundings. The staff are attentive without being intrusive. As always great food and service. As always great food and service! Always lovely food and service, good value too. A lovely 'buzzing' atmosphere without being too noisy. Lovely food and great value for money. Friendly staff. The food was good but portions are small. Good service and food served promptly. Excellent food and wine great service and ambience. Cannot find a negative comment to make. Love it. Visited yet again with friends and could not fault food or service. As per usual excellent food such a high standard of food for a pre/post theatre menu. Have been frequenting Petit Paris for almost 20 years whenever I visit Nottingham. Have recommended restaurant to all my friends, love it. I have been to Petit Paris a number of times and have always been impressed by the quality of food and service. This time I went for a pre-theatre meal with 3 friends and everything was great. I particularly liked the Sticky Toffee pudding, and the set menu was great value overall. I'll definitely go back! First visit it was very busy but vibrant atmosphere service was OK food very good. Would consider going back. Absolutely delicious food. Minute steak was tender and tasty and the bread and butter pudding was yummy. We love this restaurant and go as often as we can. There's absolutely no point eating anywhere else for this type of food. First class food, would definitely use again prior to shows at Nottingham Theatre/Concert Hall. Ideal location. Delicious meal at Petit Paris, thoroughly enjoyed it. All excellent as always! Lovely staff and delicious food! My party of six were people who had been friends for over 50 years so we are obviously elderly. However we were treated well and were not hurried with our meal after we told them it was an annual get together and we were in no hurry. Everyone agreed that their meal was lovely. Food was fantastic. Service mostly good, just a little slow at times. Very small establishment, noisy when everyone is fully seated. Friendly attentive staff. Good quality food but not particularly French cuisine. Fantastic food as ever! Obviously very busy so quite noisy but to be expected on a Friday night! Fantastic meal. A lovely birthday treat for my wife! Everything about our meal was superb with 5 star ratings all round. We took 2 guests who had never been before who were equally impressed. Excellent service, surroundings and lovely meal. We were warmly welcomed and served quickly. The food was excellent and there was a relaxed atmosphere in the restaurant. We thought the service was very good, polite and just the right balance. We thoroughly enjoyed our second visit and it won't be our last! Many thanks. First time at Petit Paris for a long time but still very good in all aspects, particularly the cheerful and efficient staff. Will be going again soon. Excellent service; menu had much variety; meal excellent and good value. We really enjoyed our meals and experience, definitely book again. The best mushroom and spinach cannelloni I ever had in my life! Fabulous dessert of creme brulee as well. Love this place, A warm welcome when we arrived; prompt service, advice on menu and specials/sweet board may be brought to your table. We were asked if we would like a drink before we ordered, we were not rushed at all. Staff were all pleasant and sociable but not pushy nor intrusive. They open early, for pre theatre 2 or 3 course meals which is very useful as friends can meet up there have drink and meal and chat with friends prior to going to watch a show. (This works very well for anyone either not wanting to stay in Town too late at night or not wanting to eat too late. Petit Paris certainly gets a big 'thumbs up' from me. I would definitely recommend this lovely restaurant to my friends. Dined at Petit Paris on Saturday, took a pre-theatre menu meal and it was EXCELLENT! The food was superb and the service was second to none! Will definitely book again and for the lunchtime! Another super meal. Excellent staff, lovely food. Went to Petit Paris for a pre-theatre dinner, which was excellent and very good value. We will be there again very soon! The meal was exceptional both mine and my mums meal. The puddings were also great! Another great meal. Service excellent as always. Perfectly cooked duck. Can't say this happens very often! Went for pre theatre meal, food was good although the main meals on the menu was restricted and you had to pay extra for a few of the dishes. Can recommend cheese selection for desert but to be honest all the deserts that I saw coming out looked good! Will go again. Food and staff were great at Petit Paris. There are a lot of extra charges for menu dishes and I would rather see a menu at a fixed price for all dishes. Lovely food friendly staff. Even though it was a busy evening the food arrived promptly. Fantastic restaurant great tasty and well presented food, friendly service. This is my third visit to this little gem of a place and will come back again soon. We have been to this lovely restaurant many times before and this time introduced a member of the family to join us for his first visit. Like us he was delighted with the menu, ambience, lovely staff and will definitely return, as we will. Highly recommended. Food was very good. Service good. Starter tasty,main steak not as tender as in previous meals. Staff very friendly and efficient. Easy booking, great meal, great service. Will definitely be back. Thank you. A fabulous meal, great service and out in plenty of time for our show! The meal was very tasty at Petit Paris and the service efficient. I brought my friends from London and Manchester to have a meal at this restaurant,and they all thought the food, service and value for money was the best they'd had! I would definitely be back here for a meal again, you made us all feel very welcome. Everything was amazing at Petit Paris, absolutely excellent steaks! Great food, lovely staff, but VERY noisy. Have always enjoyed the food at Petit Paris, this time I found everything a little sweet, the cider jus was tasty but a little syrupy for me and the bubble and squeak was also sweet and a bit devoid of cabbage, but had carrots in it? Will go again but perhaps steer clear of the pork Ribeye. Great service as always and always relaxed. Excellent all round at Petit Paris. Delicious food and helpful staff! Lovely meal and good service. Never had a complaint with this excellent restaurant! We returned to Petit Paris after a two year absence and it was very pleasing to find that the food and service was as good as ever. Everyone enjoyed their food with the fillet stark the most popular. Already looking forward to our next visit. We held a reunion meal in the private room. The service was good and the food lovely. It got quite noisy as, in common with most restaurants these days, there are few soft furnishings to absorb noise but everyone enjoyed themselves and wants to do it again. Went for the Mother's Day lunch at Petit Paris - Food always impresses here. Delicious, fresh and full of flavour. The house wine was fruity and enjoyable and the service was a good level of friendly attentiveness. Nice busy atmosphere and great value for money for 3 courses. GO HERE! Food excellent. We were placed next to the kitchen entrance so were very aware of staff 'coming and going'. Restaurant was very busy but we did not have to wait too long between courses. Staff were polite. Second visit to Petit Paris and just as good as our first. Lovely warm atmosphere and friendly staff. The meal was excellent with a good quality house wine. Superb food at a great price! Ca -c'est tres bon! Warm welcome at the top of the stairs, friendly young French waiter (we'd visited Avignon, where he came from). Excellent food at Petit Paris - good selection and high quality. We've not been for a while, but will be back soon! Very good value at Petit Paris served in a good atmosphere at a very busy pre-theatre time without feeling rushed. Very good service at Petit Paris! This was the best pre-theatre meal we have had for some time. Used to be regulars at Petit Paris but have not been for a few years. Can't remember why we stopped going. This was the special Valentine's 2 course menu, dining at 5.30pm. My Bouillabaisse starter was delicious and warming, followed by a moderately sized but beautifully cooked Sea Bass fillet on a bed of mash. Vegetable selection was a superb mix of Haricots Verts, Sugar Snap Peas and Root Veg. My wife's Tempura Prawns were attractively presented and with a tasty salsa, followed by Duck Breast served pink, as requested. Difficult to give the whole occasion anything other than 5 stars all round. If this is today's standard, we'll be back. Great little place with lovely food! Excellent food with excellent service. We will be returning before too long! As per normal an excellent meal out and what it so nice is they don't rush you. Great as ever! As wonderful as ever at Petit Paris! Some time since we've dined at Petit Paris. Pleased to say food and service just as good as we remember. Will be booking again I'm sure! As delicious as ever. Just didn't have enough time for dessert before having to get to theatre, but there was 11 of us so understandable. As we were a party of 10 and going to the Concert Hall we found the whole experience efficient and good quality with very friendly staff and will most definitely come again. I have never been disappointed with any meal I have ordered at this lovely restaurant. I introduced a friend to the place on Wednesday and she was equally impressed! First visit to Petit Paris, great service, great food, would highly recommend and definitely be back! Went to Petit Paris as a party of six and all said they enjoyed the night. Nice food, excellent service and good atmosphere. Will definitely return! We came for a post theatre meal. We had booked for 4 but only 2 on the day due to illness. They were not unduly bothered by this. A busy restaurant with a lovely atmosphere. We had the 2-course option starter and main but we could have chosen main and pudding or even added pudding but we were too full. The service was excellent and came fairly quickly even though it was busy. My starter was from the specials board an added £!.95. King prawn provencale, with 4 huge prawns. My main was salmon, also from the special board with £1.95 added, with leek and potato mash, in a wine sauce. I would have like more veg but I did have plenty to eat and declined to see the dessert menu. Definitely recommend this restaurant. Excellent choice of dishes and when they arrived were delicious! Staff were very polite and efficient. I hadn't been to Petit Paris for many years - I won't be leaving it as long before I visit again! The food was delicious and there was plenty of choice. The service was brilliant - each course was served fairly quickly but you were not rushed in eating and the waiters/waitresses were really helpful without interrupting the evening. The atmosphere was great too - brilliant night for my 40th birthday. Thank you! After being let down this Wednesday 21st by another place for our works Christmas party I was panicking thinking nowhere would be able to seat 15 of us. How wrong I was, Petit Paris had space for us, they didn't need us to pre-order we could decide on the night this Friday 23rd. They had made a room available to us and the setting was lovely, the food was delicious and excellent value for money. The service was outstanding we could have wished for more. The moral of the story is, one mans Christmas party booking loss was another, well 15 to be precise gain. We will not be looking elsewhere for next years party as we know for sure where we'll be taking our staff and partners. Thank you Petit Paris wishing you all a very happy Christmas and a prosperous New Year. We enjoyed a great meal at a reasonable price. Love dining at Petit Paris. The food is always exceptional and extremely good value. The staff are lovely; very attentive and warm. I've recommended this lovely restaurant to many of my friends who are regulars now too. Two of us ate from The Pre Concert 2 course menu this week. We both thought that the food was superb. Very good value. Friendly, attentive but not "in your face" service. We loved it! Excellent pasta and wonderful dessert at Petit Paris! You need to offer gluten free bread to accompany the soup. Best of everything at Petit Paris - made our Christmas shopping day extra special! thank you! 3 of us turned up for our very early Xmas lunch - we were seated at a table and just as we were getting settled we were moved to another less advantaged table and another party was put in our place. We picked our choices from the menu - we all had the same starter which was very tasty but the plates were not very warm. We had a different main course each - I had the duck and I enjoyed it and my friends enjoyed their food and we then had a sweet and K & J loved their choice and they had been able to change the sauce choice that came with their pud and I had the lighter sorbet which was very tasty. A very good pre-op theatre/concert meal. Good value, great food and efficient service. Good food as always, busy mid week which is always a good sign. Reasonable choice before the added extras kick in. Everything was excellent will obviously go again. I had a lovely lunch with my daughter at Petit Paris on 5/11/16. The food was very enjoyable and the service was prompt and friendly - even though the place was absolutely full! I recommend booking ahead as it is obviously very popular. Went for pre theatre meal at Petit Paris, £13.95 is good value for 2 courses, really nice food, half carafe of house wine £9.95. Only criticism is that if you wanted to choose from the entire menu a lot of courses carried a surcharge of up to £4.95. Making it a little expensive and also limiting your choice if you were not prepared to pay the extra. However we still enjoyed the meal. Like most people, we visited Petit Paris for a pre-theatre meal. They are really geared up for this, so service was very slick and friendly. Good menu choices with additional Plats du Jour Board. I had excellent moules mariniere (small supplement) followed by a goodish taglietelle, wife had goats cheese salad and chicken chasseur (chicken wasn't cooked in the sauce, it was added after). Overall though a good value meal with excellent service in busy and bustling restaurant, this was our second visit and we'll happily go again. As per normal the food and service was second none at Petit Paris. A great atmosphere with well cooked and presented food. A restaurant to keep one returning time and time again! Lovely pre theatre meal. Fast and efficient service pleasant surroundings. There were 6 of us having lunch. We had the 3 course meal option. The food was fantastic and the waiters were warm and friendly. Excellent value for money. Only criticism is that it was very warm - no air conditioning, apart from electric ceiling fans. Had a pre theatre booking at Petit Paris and the meal was superb. Would recommend this and will certainly return! Superb lunch at Petit Paris, very good selection on menu. Glad I pre-booked as restaurant was busy but service was still spot on. Will definitely recommend this restaurant! As always, a great meal at Petit Paris! Perfect for a pre-theatre meal, the ambience is always cosy and welcoming and the food is tasty and great quality every time. A wonderful evening at Petit Paris celebrating my partners 40th birthday. Food and service were both excellent. We will be returning! Beautiful food served in a setting of rustic charm. Polite and friendly service. Petit Paris is well worth a visit if you want to impress a lady! Fast service at Petit Paris, great meal. Excellent meal and service at Petit Paris. They're very good at dealing with the pre-concert, pre-theatre rush. Fresh and tasty meals at Petit Paris. Appealing menu, great service. Nice ambiance! Love this venue. Been a few times and never disappointed. Highly recommend! Yet again another faultless meal served by attentive, friendly and dedicated staff. They even enquired after my wife as they noticed she was not with my party. I would certainly recommend this restaurant to anyone visiting Nottingham. Consistently good food at Petit Paris and polite attentiveness, always a good experience! A wonderful dining experience the food was delicious and the staff where very friendly and efficient. A lovely venue and atmosphere. I will definitely be dining there again. Great menu choices and value for money. I will recommend this place for both lunchtime and evening. My fav place to eat in Nottingham! Food amazing and a good price! Always such a good value pre-theatre meal. The fish dishes are exceptionally good, and the house red wine is delicious. Excellent, friendly service. Pre-theatre menu selected by all in the party. Good-sized portions for all three courses. Starters and mains excellent, the desserts didn't quite hit the mark though won't put us off booking again. Well done Mario and Petit Paris! The food was wonderful at Petit Paris, as it always has been each time I have visited. The staff are so friendly and helpful. It has a lovely friendly feeling as soon as you walk in. Great every time. Thank you! Fabulous meal and service again. Thanks again. Fantastic customer service and wonderful food. Lovely meal. Very friendly staff. Have been here a few times since our move to Nottingham. This time with friends from Essex. Booked about an hour before. The food was lovely and we all enjoyed 3 courses. Certainly will go back again. Fabulous meal again at Petit Paris and good service. Love the food, ambiance and lovely staff! Midweek meal for 4, usual warm welcome and good service. 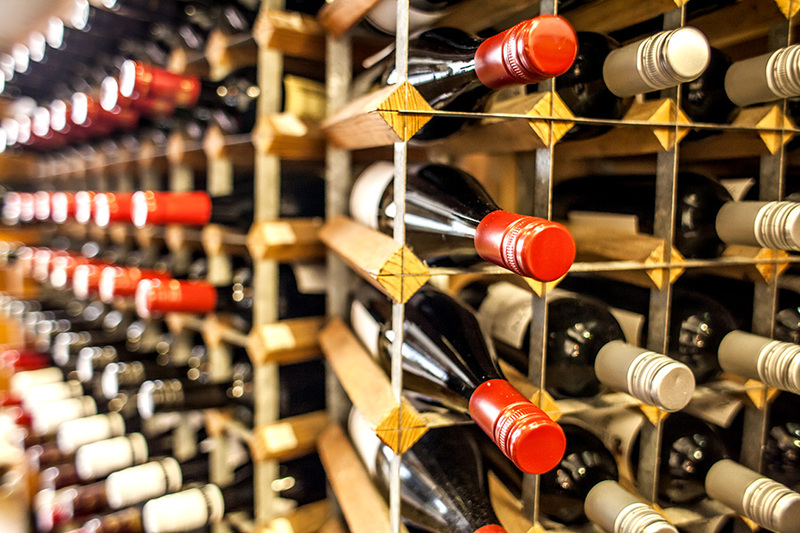 Food and wine to a good standard with plenty to choose from. Will return. The food and service was second to none at Petit Paris. Staff were friendly and attentive. I would certainly recommend it to other prospective diners. Great banter for money. Absolutely beautiful meal at Petit Paris! Lovely restaurant with fine food and wine. The service at Petit Paris a was excellent and the menu was varied enough to please both my steak eating and the vegetarian guests alike, so all was good. One of the best restaurants in Nottingham. All excellent. I have visited before but this is the first time I have made the booking. Lovely meal at Petit Paris and very good value for money. We all had starters and a main course and their were no complaints. Visited Petit Paris last night and had a very enjoyable evening, the ambiance was very pleasant and the staff were very attentive and polite. Would definitely recommend and would dine there again. Excellent meal at Petit Paris cooked and served as one would expect of a restaurant of this standing. The black pudding scotch eggs were different and very flavoursome. An excellent meal with impeccable service in a busy restaurant. Rounded off the day nicely after singing with the Halle in the Drivetime concert. Top marks for all. As a party of severn we had excellent service with quality food and service. Not been add to your list as you won't be disappointed. Lovely pre theatre menu at a great price, even tempted to have 3 courses! The main course - we waited 35 minutes. My second visit to this fabulous restaurant such a treat as I live 2 hours away. Ticks all the boxes will be booking again on my next visit to Nottingham. Highly recommend to all my companions. Thank you. Jane smith. Lovely meal and reasonably priced however we were ignored by the waitress initially in favour of regular customers, consequently they had ordered and got drinks before anyone even came to our table! Not good, also the waitress omitted to give us our bread until half way through our starter. Petit Paris is a fabulous place, so quaint & personal, a real treat, wish we'd discovered this place sooner as relocating in the next few days. Excellent as usual at Petit Paris! Excellent as per usual. Which is what makes us repetedly return. Everything freshly cooked to individulised request. Staff more than happy to go the extra mile! Very noisy as tables are too close. Great pre theatre menu. Always get served quickly so not worrying about getting there in time. Our new pre-theatre restaurant; good food and excellent service. Faultless! My husband enjoyed his rump steak from the pre-theatre menu. I however was very disappointed by my fillet steak, overlooked and had to pay a £10 supplement, just wasn't worth it! That said other diners appeared to be enjoying their meals, so maybe I was just unlucky! Had a lovely meal with my husband, the staff were all very friendly and went through the menu and specials board in detail. The food was delicious and service very good, will defiantly be back! Food was of a good quality, together with a quick service. I hadn't been for a while and this time I took my mother in law. A pre thetre meal. Booking was easy. Menu was a great variety of choice. The ambience warm. The food tasted great and arrived promptly! Just what you need when you are on a short timescale! Totally recommend! Wow, what a find! Not native to Nottingham, so first time at Petit Paris, just searched the net for somewhere to eat pre-concert. Excellent venue, easy to find, efficilent but polite and attentive service, and a pre -thetare menu that I have not matched in Birmingham or London for much better prices than either city! Will definitley use again, and would advise anyone else to give it a go. We went for pre-theatre at Petit, prior to seeing a show that evening. It was lovely - delicious food, great service and really good value for money! Amazing food, great value at this lovely little restaurant. A lovely meal and good service at Petit Paris. You can't ask for more! Petit Paris is my favourite restaurant in Nottingham. Superb food at fantastic prices with great service. Small menu but plenty of variety. Friendly efficient staff and it's well decorated. Food was good if a tad over cooked. Not been to Petit Paris for a while, it was great to find it still offers good value for money and was really tasty. The service was great too, will be going back soon! Great food as always - excellent service. The perfect restaurant for a pre theatre meal. Very enjoyable Saturday night out at Petit Paris, ticked all the boxes, will return! Lovely light lunch at Petit Paris. Delicious! Excellent food at Petit Paris with gorgeous sauces; friendly and attentive service. A really lovely evening in a mini piece of Paris; a pleasure as always. Delicious, well-cooked, beautifully presented food and excellent service. Lovely food, great service - reasonable prices, however we were eatting from the 2 courses pre-theatre menu priced at £12.95 - but, so many options on the menu were to 'upgrade' at an extra cost! The pre-theatre menu should just have choices that are included in the set price. We found the Restaurant on the website and booked it because of its proximity to the Theatre. We were delighted with the scope of the menu (one of us is married to a chef), the quality and price of the food and the excellent service. Will be going again! We have been many times to Petit Paris and have never been disappointed, but this was the first time we booked online. You always get a cheerful greeting and the whole ambience lifts us. The food is always varied and of high quality. We, of course, will return. Excellent meal, really enjoyed it. 5 Stars. The food and wine were excellent. The staff are very polite, professional, and friendly. The ambient is cosy and warm. A very pleasant evening out. Celebrated my birthday with a few friends and we all had a fab time. Will certainly recommend this restaurant. Cannot fault this place at all we went for the Early Bird menu at 6pm as we had a show booked the service was great from the moment we arrived. they came over straight the way to take our drinks order which was great. also so much choice on menu to and I have to say when my meal arrived the flavours of the sauce were delicious. I've been here a few times and will definitely recommend to friends and cannot wait until my next visit. Took a couple of friends to Petit Paris for a pre theatre meal, they have never been before and thought it was great. We have been a number of times and have always been impressed. However, we didn't enjoy it as much as usual, the food was ok, the salmon pancake was very cheesy, although it didn't state there was cheese in it on the menu. The steak was ok but unmemorable, the desert portions were very small. Its still great value for money but we have had better meals there before. Excellent value and the choice was amazing. Good service and atmosphere. Will definitely go there again. Excellent food and service at Petit Paris, thoroughly enjoyed our dining experience! Enjoyed a great two-course lunch with a friend at Petit Paris, prior to visiting Nottingham Playhouse. Chicken was delicious and superb selection of puddings. We will certainly be back again! Have visited Petit Paris a few times, and we have always enjoyed a lovely lunchtime meal. Excellent value and plenty of choice. Excellent value pre theatre menu at Petit Paris, which is even available on a Saturday evening. Great menu choices, and the fish dishes on the specials board are always delicious. Our first visit to Petit Paris for quite a while. We were very impressed with the quality of food and the service. Good quality food at Petit Paris with excellent service! Never fails to serve great food at really good prices lots of choice too. Never had a bad meal here. Petit Paris is always a good choice! Great food, great service, great restaurant, will return! The food is always lovely, a great choice, freshly cooked, with good combination of flavours. The service was swift and attentive. One of the best meals I've had in a long time, and great value! Warm comfartable atmosphere, great staff, will be going back and will recommend to anyone. Top notch! I have been to Petit Paris before you always get a good meal. That is why we book! Quickly seated, food overall was lovely, if I was to be really picky my only complaint was we felt a little rushed between courses, but I suppose I should have asked to have more time in-between, it's my fault really. Would definitely recommend. We went pre-theatre and it was perfect for this occasion! What an amazing little place this is. My first time there and will definitely go again. Chicken with butternut squash risotto followed by a lovely cheese board. My date had lamb shank followed by a chocolate tart. The food was lovely complimented by very nice wine. The ambiance was cosy and intimate with very attentive waiters. Very reasonably priced too. A hidden gem. Booked a pre-theatre menu dinner for 2, we arrived early to be welcomed and shown to our table. The menu was diverse I'm sure they'd be something for everyone. The quick service, wine and value for money is excellent but the food even surpasses that.....truly excellent food cooked to perfection! Really enjoyed our meal & may well come again. Excellent food and great atmosphere. Couldn't fault it but need to come back to try other meals at Petit Paris! Never disappointed at Petit Paris restaurant, lovely meal, friendly service and reasonably priced. Petit Paris is one of my favourite restaurants I've been to so far in Nottingham. The food is authentic and the staff are so friendly! The fish of the day at Petit Paris was superb! Thank you. A lovely meal we ended up having 4 courses! Lovely food and excellent service. Good value for money. If I had to criticise the terrine we had was quite cold and the flavour would be more emphasised if served nearer to room temp likewise with the cheese on the last course. Vintage port perfect temp. Overall our experience was good. Had grilled hake and potato some green veg would have been nice, although it was delicious. Excellent food, reasonably priced and the service was excellent, considering we were a table of 18. Excellent food, & good value at Petit Paris! Good food with helpful, friendly service. Absolutely brilliant night at Petit Paris. Food came out hot and was very tasty! Would definitely recommend this restaurant to all friends and family. Lovely! Absolutely superb experience at Petit Paris! My three friends and I enjoyed a beautiful three course lunch, complemented by excellent wine and served with perfect hospitality all for £25.00 a head including coffees and a cognac to make the treat complete! I would strongly recommend Petit Paris and can't wait to visit again. I felt completely at ease and welcomed by all. One of the best meals I've had in a long time, strongly enhanced by the attractive decor and comfortable surroundings. Well done! Another amazing meal at Petit Paris, quick service and a tasty meal! Very good meal yet again at Petit Paris as well as good value for money. I had the pre-theatre menu and enjoyed a French onion soup followed by a variation on cassoulet. The soup was nice, a little too thin for me and the toasted bread on top didn't taste like it had French cheese on which was a shame, but otherwise enjoyable. The main was very nice. The pork was cooked excellently, beans were coated in a delicious sauce and the sausage was peppery enough to compliment everything. I will be returning soon. Our meal was lovely at Petit Paris and the service was very good and quick even though they were very busy. The food and drink was lovely at Petit Paris. The staff were extremely courteous and attentive. I took my elderly dad for the first time and he said that it was first class and would certain go again. Hopefully he'll pay next time! An excellent meal and great service at Petit Paris. Excellent value and service for pre theatre meal at Petit Paris! Nice selection of meals served in a friendly and efficient way at Petit Paris. Had a pre-theatre meal at Petit Paris with a friend. Food was delicious and a very fair price. Will definitely be paying more visits! Lovely meal at Petit Paris at a great price! Highly recommend! Excellent meal and good value! Nice atmosphere! Excellent food and service at Petit Paris. We were most impressed with Petit Paris. Staff were welcoming and cheerful. We were offered drinks immediately and when the drinks were brought to the table our food order was taken. The food arrived quickly, the food was hot and delicious. We thought that the food was well presented. We will return to this restaurant. The food was excellent with very good service. The restaurant maintained it's very high standards. Really enjoyed our night out here, 8 of us had a fabulous meal. Service was excellent, nothing too much trouble. Only snag we that we could think of, needed a bit more room. 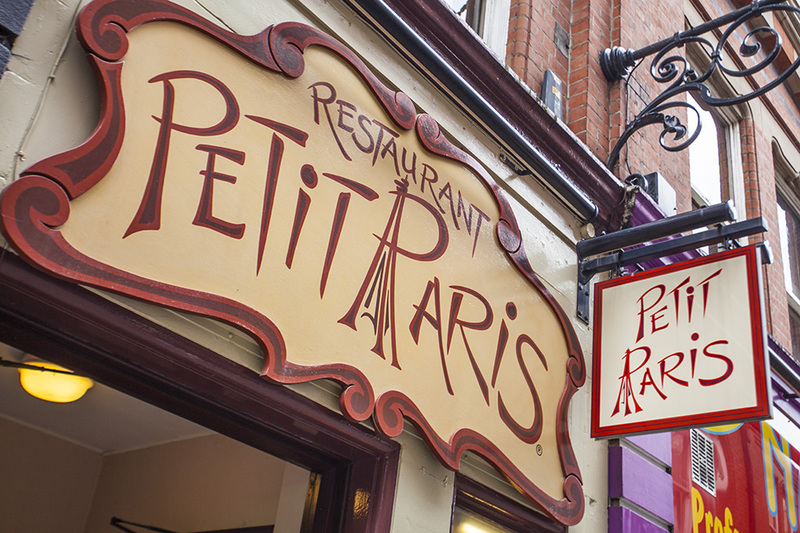 Excellent food, served efficiently, making Petit Paris an ideal place to eat before the theatre or other shows in Nottingham. Just been for another meal at Petit Paris, once again the staff are friendly and the service top notch. Tonight was a Monday and it was quiet but this made the evening very intimate with family. Well worth value for money. The food is very tasty, not too big a portion but what you get really counts. Will always try and eat at Petit Paris if we can. Would not hesitate to go back. My daughter and I chose the pre-theatre menu. There were plenty of dishes to choose from and the food and wine were excellent and good value. We will go again. I went to Petit Paris with a friend and we each chose a different main course and a dessert from the Pre-theatre menu. I chose Pan roast pork loin steak, stilton cheese potato gratin, butter leeks and red wine jus; my friend chose Tagliatelle with onions, bacon, tomatoes,mushrooms, cream & fresh basil. Both were delicious and filling. The Chocolate Truffle dessert of the day was melt-in-the-mouth sumptuous! The waiters were friendly, helpful and efficient.I recommend Petit Paris and I will definitely return. We enjoyed a delightful meal at Petit Paris. A greta selection of freshly prepared and cooked food. The steaks were magnificent and the market fish extremely tasty. Service was quiet and attentive. A thoroughly enjoyable evening. Fantastic - this was booked for a corporate meal with a group of 24 people. The food was excellent from a very varied menu and the service great too. All of this was included at very very good value - have to say one of the best team meals we have ever had. Thanks to all at Petit Paris. Petit Paris is a great restaurant. The food was superb and the service very quick for a pre-theatre meal. Definitely would recommend and use again. Dined pre theatre, the food was lovely and we were served a two course with plenty of time to eat before our show, super service, dined at 5:30 paid and left by 6:35. Had a lovely meal here with my partner, food was exceptional and service was great! Will definitely be back again. Excellent food and service again...very relaxing atmosphere. Yet again an excellent dinner at petit paris!!! This is a very busy restaurant and the reason is that it serves very tasty freshly prepared food in lovely surrounings by efficient staff. Excellent eatery for a pre concert meal with good varied menu served efficiently without feeling rushed. Only had a baguette at lunchtime, very tasty. Service did seem rushed ...it was very busy. A little disappointed that our fries were taken as an assumption that we had finished completely. Fab food and service. Would definitely recommend. An excellent restaurant. Top food, top service and well worth the money. Yet again an excellent meal. Consistently quality food. Unpretentious food, cooked well, served in good time and without any fuss. Lovely little restaurant. Friendly attentive staff and nice food. Would go again. I enjoyed my lunch yesterday - my friends also enjoyed the food. Everything was wonderful and the staff are fantastic. We will be back again for your lovely food. Thank you. Excellent food, excellent service, we were in the overflow room that was a little cold and away from the restaurant buzz but overall as per usual excellent value for money! Lovely place, food good, service quick, just what we needed as we were going to the theatre. Nice food. Excellent service. Definitely will try again. Superb food on the two courses for £10.95 deal. This restaurant is always busy as it serves consistently well cooked and presented menus with a daily specials board from which to choose. Excellent value. After weeks and weeks of walking past Petit Paris, I decided to book a table for two with my partner. Bearing in mind I am not a fan of eating out, I was thoroughly impressed. The service- our waitress was attentive to the right level she did not interrupt our conversations, she would merely look over to see if we were ok. She was polite and had a bubbly personality. The Ambiance - I wasn't expecting to feel like I was in France nor was I expecting to feel like i was in a pub. The decor was simply but nice very quaint. Food - one word perfection! Value - 2 mains, 2 starters 3 glasses of wine £51.00 - cheap date. Petit Paris, well done you will see me again. Two courses for £11.95 was excellent value at Petit Paris, the starter I had was a forest mushroom in stilton sauce which was lovely. The main course was mackerel with asian slaw and paprika crisps. I found the mackerel a bit tasteless, the flavourings were all on the skin which I didn't eat and the paprika crisps were in fact large chips. The ambience is very pleasant, service was OK although initially I was shown to a table when the friend I had already booked with was there already but we soon sorted that out. Excellent meal, good choice and great service, overall good value for money at Petit Paris. Petit Paris is a lovely restaurant offering fabulous food as always. Excellent value for lunch with a quick but unrushed service. I have been here before with a large party and the service and food was as good now as it was then, the service is very good, we went pre-theatre our table was for 6pm and we were out for 7 pm, we were not rushed at all this it was our choice to move on quickly but it did not feel like we were rushed, we both chose a fish dish which was very tasty and pudding was very tasty so would recommend to anyone! I really Petit Paris - I go for lunch with women friends. The food is excellent and the portion size is just right. A good atmosphere and friendly service makes this a regular favourite. Excellent pre-theatre menu at Petit Paris and the quality of the food was excellent. We can understand now why the restaurant was full at 6 pm! Great food, good choice, lovely setting, would highly recomend it! A lovely dinner for 6 people at Petit Paris. An extensive menu with some unusual items. Friendly service with courses served reasonably quickly. My only criticism is the acoustics in the place amplify the sound and I struggled to hear conversation. We had a lovely meal after an early evening concert yesterday. The service was very attentive; the food delicious - portion sizes just right - filling without being over-facing, and the 4 of us were tucked away in a little corner where we could converse easily. The restaurant was busy which speaks for itself. We rarely eat out in the city centre in the evenings but were very happy with our choice. Excellent food as usual at Petit Paris. Fantastic calves livers and selection of fish on this visit. Was a little upset by the clearing of the table whilst we were still eating on one occasion. Fantastic food and a very relaxing atmosphere at Petit Paris. 14 of us went for a team night out. We were seated in a side room rather than in the main resturant which lacked the same buzz as the main dining area. There was no music, atmosphere etc. If you go I'd recommend asking to make sure you're seated in the main area. That said we had a great meal. Food was really nice, service staff were attentive. All in all a lovely evening and we would go back. Excellent set price theatre menu, with a really good selection of dishes. The chef and waiter brothers previously worked at Seasons in Beeston before it closed, so it was lovely to see them again! A lovely Mothers meal, excellent food and service in a charming restaurant. My friend and I had a pre-theatre meal at Petit Paris the other evening. It was obvious how popular this restaurant is because as soon as the doors opened at 5.30 there was a continuing flow of customers. It is essential to reserve a table here particularly for pre-theatre. We wondered if we would have to wait very long for our food with there being so many customers but we were given time to look at the menu and specials board and then our order was taken. From then on, we ate a very relaxing meal. We had the two course meal with wine and coffee. We both opted for the lasagne followed by cheese and biscuits. The food was substantial and well cooked and a decent price for what we ate. Judging by the influx of theatre goers using this restaurant, you can see how popular this restaurant is and when some other establishments are trying to make ends meet the Petit Paris continues to thrive. Certainly a place we will use again. Petit Paris never fails to please. Attentive service, interesting menu and delicious well cooked food. Highly recommended. Lovely food at Petit Paris. Fabulous service as usual with fresh piping hot food. Excellent value for money at Petit Paris. Visited here for a pre-theatre meal. Service was efficient, helpful and friendly. Food was good value without being spectacular and we would book again for a quick and cheap bite to eat. Gorgeous food and fantastic service. Excellent place to eat, good menu and tasty food. My problem was because it was a busy Saturday evening the service was very slow. A welcoming reception, service at right pace and lovely food at Petit Paris. Food was fantastic, service very friendly and good value for money. Really lovely, well presented food. Possibly due to time of year the restaurant was very busy and lacked a little ambiance. Would go again for the food though. Another faultless meal at Petit Paris. Excellent! Booked table for 3 for set lunch for my niece and her boyfriend over from Canada. Never having been to this restaurant before I didn't know what to expect and we were thrilled with the quality, choice and portion sizes for a set meal menu. Definitely will be returning to Petit Paris. Back again! Friendly welcome. Change in selection of starters and mine was delicious (baked mushroom with cheese). My friends both had the Petit Paris salad, and one found the dressing a little heavy on the balsamic vinegar for her taste, as did the chap on the table next to us, but all complimentary comments otherwise. Original ideas for delicious desserts too. All-in-all another excellent experience. Still my favourite restaurant in Nottingham. Always excellent service, no matter how busy (and it always is). The pre-theatre menu is such good value. My friend pronounced her risotto to be the best she'd ever had. Will definitely be going again... and again. Always have a good meal with great service. We had the pre theatre menu and thought the food very good. Service was efficient but not too rushed. We will definitely dine here again. Very pleasant meal, had not been for a few years but will be going again soon. The food, service and staff were 1st class, which made for a very enjoyable night. Good choice for a pre-theatre meal. Busy with atmosphere. Food was decent and quick service. Would recommend. Another superb meal. One dirty glass which was soon changed but should not have been at the table anyway. Lovely restuarant! Excellent service, fine quality varied menu. Good dining experience as usual. Up to the usual good food. 1sr class experience as usual. Excellent meal, as usual. Petit Paris never disappoints. Excellent Service by friendly staff. Very good food. There is no question about the quality of the food here. Every delicious fork full is cooked to perfection. The well balanced a la carte menu offers you a real taste of Paris ans the ambiance is superb. A very pleasurable visit! Service was very quick, there was very little time between courses. All food was lovely especially the crab linquini and the pork pate. Excellent value, good time had by us both. This was my first visit to Petit Paris and I enjoyed it. After going up the stairs and into the dining area I was surprised at the size of the restaurant. It was a Saturday night and all tables were taken so there was a good atmosphere. The food was very tasty and well presented and in ample portions. Remember to order your vegetables and side dishes separately. The waiting staff were on the go all night and were very friendly and efficient. The only small complaint I have was that we weren't given enough time between starter and main course. As soon as we had finished the starter the main course arrived so we felt a little rushed. All in all, a nice experience and I would have no hesitation in returning. Has been better. Shame, it appeared to be rushed. Over all a lovely restaurant with delicious food. Would recommend. The staff at Petit Paris are always pleasant, the food was amazing and the value for money satisfactory. I would recommend the roast gressingham duck as it was cooked to perfection. Enjoyed a great meal, we had to be out for 7pm but didnt feel rushed. I was very good no complaints. the food at petit paris was delicious, with relaxed friendly service. Excellent service and fine food. We went on our works lunch it was lovely the service was very good and the food excellent. Fabulous food and service as always. I only booked this restaurant last minute the night before and part of me thought it may be a bad sign that we were able to get in. Boy was I wrong. When we got there the restaurant was full, we were shown to our table straight away and the staff were very attentive. We were given the menus straight away and had our drinks brought to us within minutes of ordering them. The service was swift and efficient and the food was excellent. We completed our meal in plenty of time to get to the Theatre. I would definately recomend the Petit Paris and will rebook here the next time we visit the Theatre. I really cannot fault Petit Paris. I eat here fairly regularly and took two friends who'd never been before on this occasion. We had three delicious courses each and a bottle of excellent wine. All the food was cooked perfectly, the service was excellent with just the right amount of attention paid to our party, despite the restaurant being full. Definitely one of the best restaurants in Nottingham, probably the best at its price. Lots of choice. Lovely food and good service. I booked a pre-theatre dinner and this was the best meal I have had for a very long time. Food came quickly and was very hot and surpassed my expectations.Staff are very keen to serve and the eagerness meant the waitress forget to bring our wine with the meal - a small slip however. A bustling atmosphere yet very welcoming. I am very impressed and will definitely recommend to friends and family. Excellent value pre-theatre special at Petit Paris - as ever food delicious and service efficient and friendly. We had the pre-theatre dinner which was excellent, could not fault the choice, the food or the service - we thoroughly enjoyed it, would highly recommend it and will definitely be returning. Always my favourite restaurant in Nottingham! The food was really nice, with different options for veggies (not the usual goat's cheese and onion tartlet). The service was excellent, and the waitresses really nice and chattier than normal. Really unusual and "continental" feel to the restaurant. Also great choice in terms of "plats du jour", which were changed as soon as something was finished; a good change from other places, where "when it's gone, it's gone". And great value for money with the pre-theatre menu. I went to petit paris with my boyfriend. He had the steak and I had the duck which was cooked to perfection. The staff were friendly and helpful. The prices were reasonable, I would recommend going. Visited Petit Paris for the pre-theatre menu. 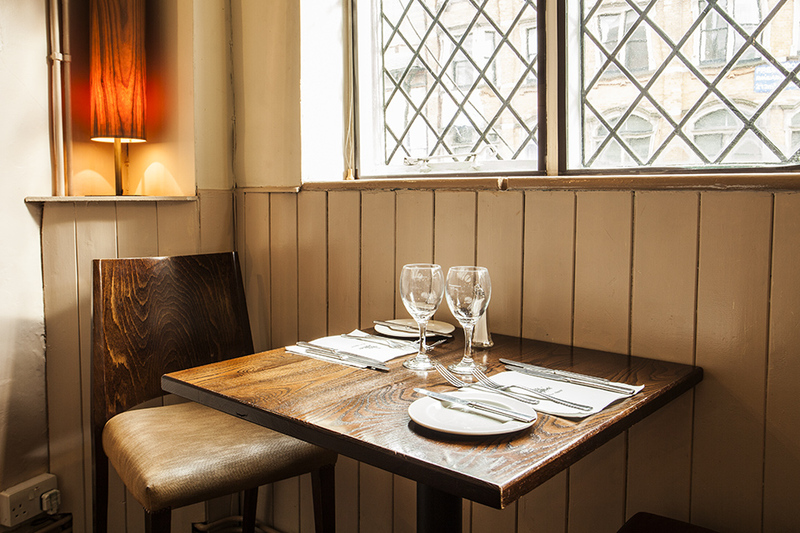 The restaurant is wonderful, right from the warm welcome on arrival to the cosy, informal feel of the place. The food was very good - on reading the menu it didn't seem that exciting but presentation and taste were superb. It was also very reasonably priced, with plenty of options to add to the courses, but without having to pay for items that may not necessarily have been required. Perhaps the only slight criticism might be of the service through the course of the meal. It was fine until we had ordered but then seemed to fizzle out somewhat in favour of newer customers arriving, and proved difficult on a couple of occasions to get service from the staff. However, once got, the waiting staff were attentive and efficient. A lovely couple of hours spent at Petit Paris, and I would recommend it heartily to anyone. 9 on ambience as slightly tight for space but overall an excellent restaurant experience before going to the theatre. Had an very nice meal which was incredible value. 2 courses for £9.95. Service was very efficient which is exactly how you want it when dining pre-theatre. Good food and lovely service as always. As always, an excellent evening. Superb food-especially for the pre-theatre price. Lovely atmosphere and fairly quick service. Glad we had booked as it was very full when we arrived. Nice greeting and quickly shown to our table. Varied menu with a good specials board and wine list. Food was very good quality and big portion sizes for a pre-theatre meal. Would go again. Excellent service and value in city centre position. Great food, service was excellent. We all had a really good night. Pre-theatre menu is good value, though drinks are inevitably pricey. No music to drown out the table of 10 that came in towards the end of the meal, who clearly hadn't seen each other in 70 years and needed to discuss everything that had happened, as loudly as possible. Service was efficient and fairly friendly. Food was fantastic and service too. Would definitely recommend this restaurant. The service was exceedingly slow and although we had left one and a half hours for the meal, we had to hurry them up to bring our sweet (we only had 2 courses!) and had to run to the theatre with minutes to spare. The food however was lovely and the waitress delightful. Lovely restaurant and a perfect dining for two if you want something special. Absolutely mouth-watering dishes! Excellent food and menu selection. 2 course menu offers good value. Great food, excellent value for lunchtime 2 course offer. Friendly staff, lovely atmosphere and beautiful food - would highly recommend this restaurant and will definitely go back. Good ambience for early evening. Prompt service, but omitted to add ice cream to pudding order, and came over to table to dish out a dollop of ice cream! Reasonable food, good choice of dishes. Fair price. The food is really well priced and the atmosphere is lovely. This was probably the best meal we have had in Nottingham and all 8 diners agree, only down side was that menu was different to website and we had our tastebuds set on some selections no longer there. Had a fab lunch as usual. One starter from the set menu (chicken and bacon) was well received, and mine from the specials was deep fried brie with onion marmalade and was very yummy. Two courses from the set menu came quickly after - my friend the chicken, and I the minute steak - which I have to say was the best I've had from there - beautifully cooked (rare) and full of flavour with delicate french fries and a generous dollop of Dijon mustard. Sadly, we were too full to enjoy a pudding - but at £8.95 still, you can't go wrong. We will be back. Good service and good value for money on the pre theatre menu that we opted for. lovely food. thank you for fitting us in at short notice. nice that you could allow one of our party to just have a sandwich rather than a whole meal. tasty all. If you take a walk down Kings Walkway, one of the many side streets running from the Cornerhouse complex towards Market Square, you will find a little sign above a small doorway signalling that Petit Paris resides inside. 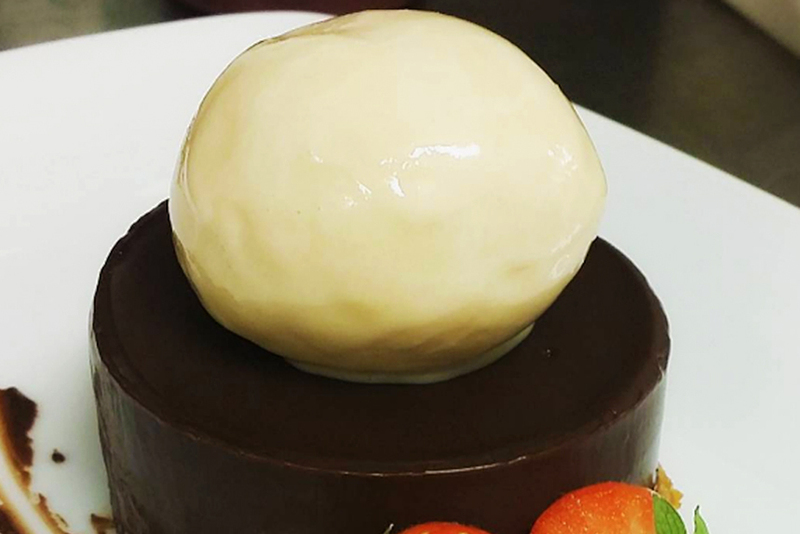 A popular destination for pre-theatre diners visiting the Royal Concert Hall, Petit Paris provides the perfects setting for a delicious meal, whatever your plans afterwards. Owners Sergio and Jean-Louis have created their own little slice of France in this first-floor restaurant. Petit Paris has been a popular restaurant for lovers of French cuisine since it first opened in 1995. The restaurant itself is a good size and is favoured by couples and smaller groups: there is, however, a room available for private hire for larger parties. With three distinctive dining areas, there is something to suit every dining request and every area benefits from the elevation of being on the first floor; the space is flooded with light in the day, whilst being softly lit and peaceful in the evenings. The fresh food and friendly, welcoming, bistro atmosphere has gained Petit Paris a loyal customer base. Offering a predominantly French menu interspersed with a few Mediterranean and Italian dishes, Petit Paris serve up delicious dishes that are beautifully presented. With a selection of fantastic value for money set menus available at lunch time and early evening, there is something to suit every budget. 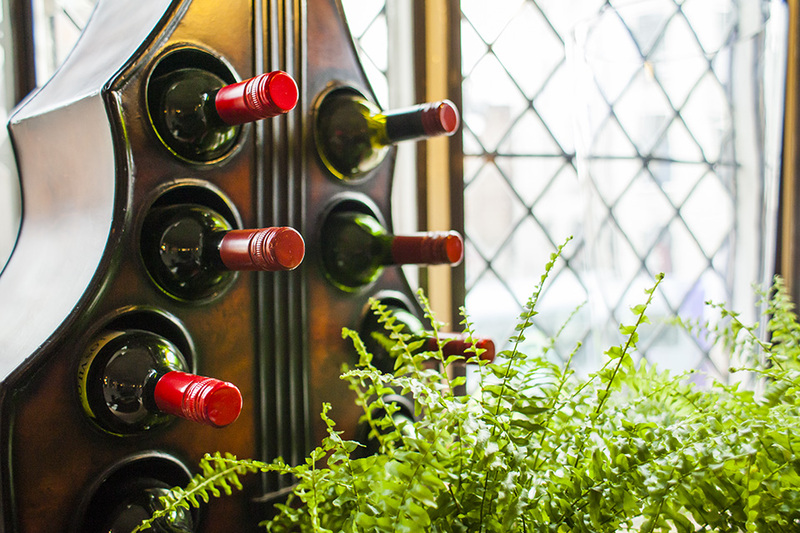 Signature dishes include the roast duck breast with wild mushrooms, broad beans, parmentier potatoes and girolles velouté as well as the fillet steak topped with stilton cheese, wrapped in bacon and served on port jus. There are also loads of incredible desserts on offer: the balsamic strawberries with with basil jelly and ice cream as well as the chocolate pavé with marshmallow and salted caramel ice cream are real treats. Petit Paris in Nottingham is perfect for a casual lunch, an intimate a la carte dinner or simply a relaxed pre or post-theatre meal. Whatever the occasion, the staff always offer a warm welcome, a good glass of wine and delicious food; you can’t go wrong. Due to the popularity of this venue, booking is highly recommended, particularly for pre-theatre and weekend diners. 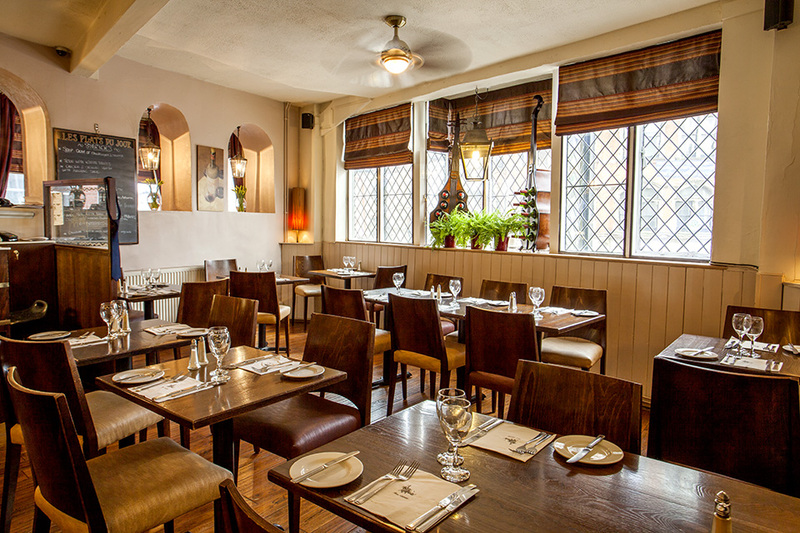 Tuck into a 2 course lunch at Petit Paris for just £13.95. Available every day from 12 noon - 2:30pm. 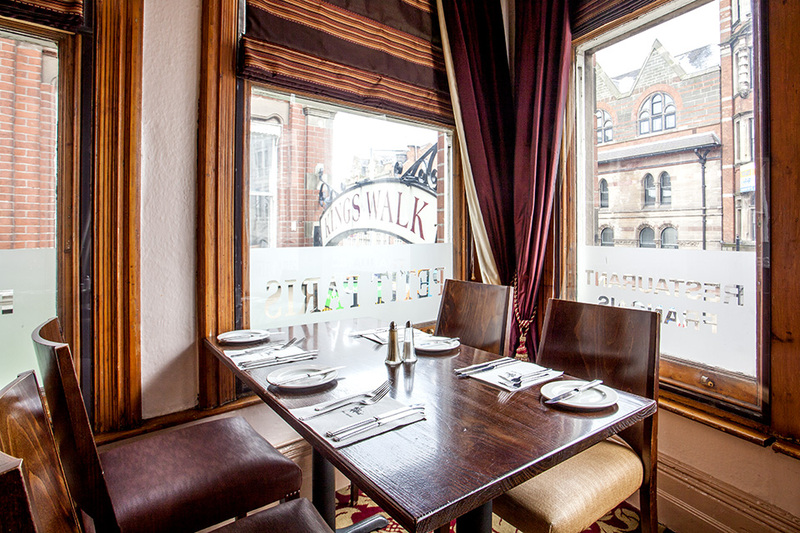 Indulge in a 3 course lunch at Petit Paris for just £15.95. Available every day from 12 noon - 2:30pm. 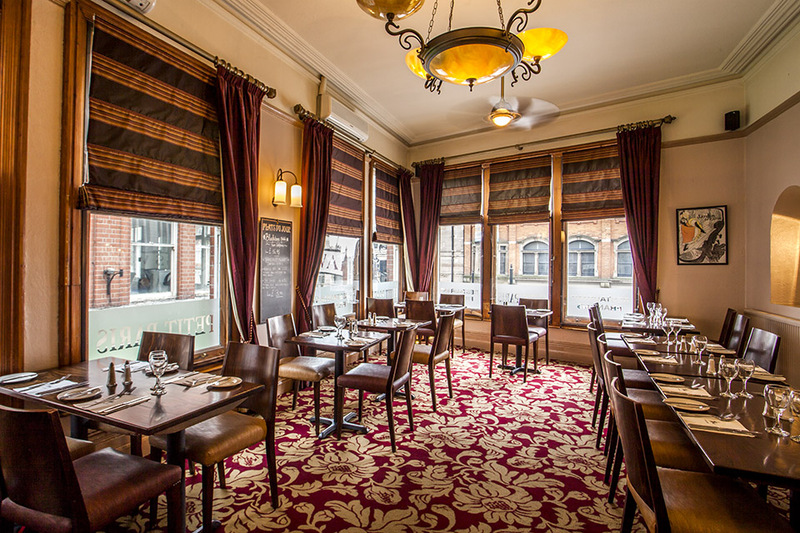 Experience a 2 course pre-theatre or evening meal for just £14.95 at Petit Paris. Available Monday to Thursday from 5.15pm - 9.30pm and Friday & Saturday from 5:15pm - 6:30pm. Enjoy a 3 course pre-theatre or evening meal for just £14.95 at Petit Paris. Available Monday to Thursday from 5.15pm - 9.30pm and Friday & Saturday from 5:15pm - 6:30pm.